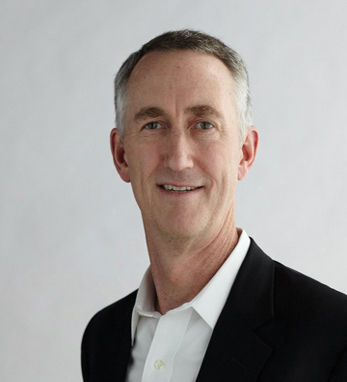 Daniel O’Day is the chief executive officer of Roche Pharmaceuticals, the world’s leading biotech company, headquartered in Basel, Switzerland and with offices in more than 150 countries, including Ireland. Daniel was appointed to his current role in 2012 having previously been the head of the diagnostics division of Roche since 2010. After joining the company in 1987 as part of Roche’s U.S. commercial and sales team, Daniel moved to Switzerland where he held roles in global marketing and lifecycle management. He has subsequently been head of corporate planning in Japan, general manager in Denmark, and president of Roche Molecular Diagnostics in California. Daniel was born in Texas and is a third-generation Irish American with family from Ennis, County Clare on his father’s side. “The perseverance of my Irish ancestors is a daily motivation to me professionally and personally,” Daniel says. His first job was performing the “hard physical labor” of landscaping, which, he says, “inspired me to pursue my education.” He attended Georgetown University and Columbia University, receiving a B.S. in biology and an M.B.A.
Daniel currently lives in Switzerland with his wife Mara and their children Tierney, Meghan, and Brendan.